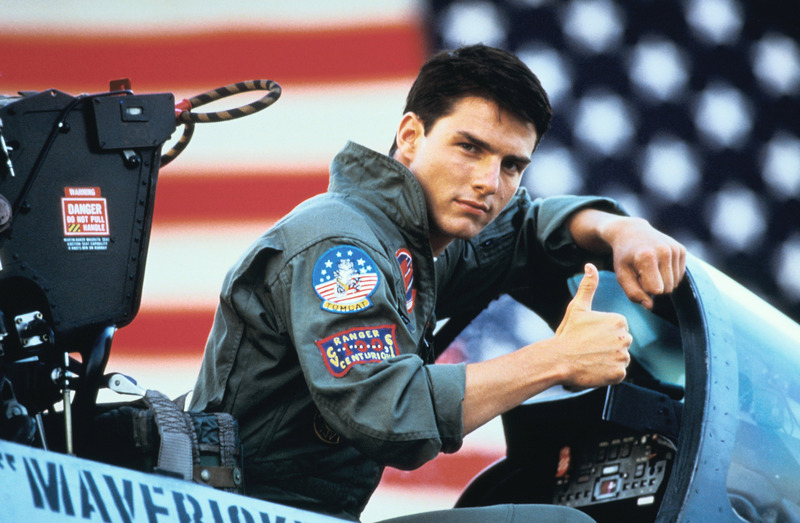 The 1986 film Top Gun staring Tom Cruise was about a Naval Aviator who was going through training at the school “Top Gun.” The movie left lots of unknowns about what happened to him later on as he flew fighter jets in the Navy. 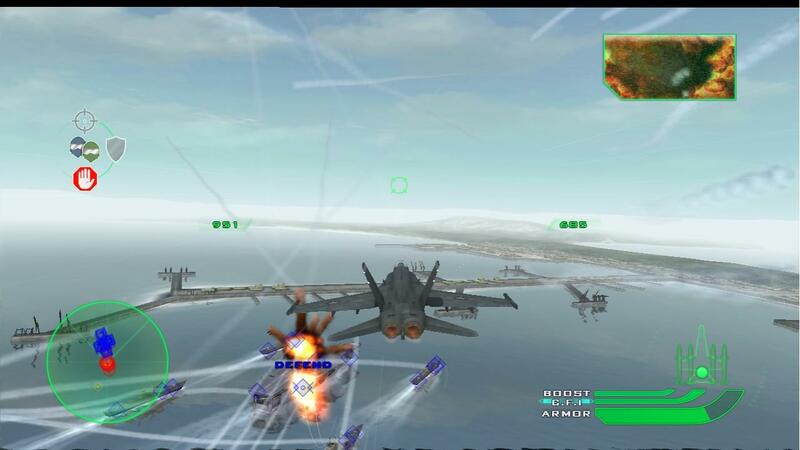 Shortly after in 1987, the video game Top Gun was released followed by multiple others, the most recent being Top Gun: Combat Zones 2001which was for the Playstation 2. Transmedia storytelling is a way of telling a story through the use of different digital platforms such as video games. Henry Jankins said, “Transmedia storytelling represents a process where integral elements of a fiction get dispersed systematically across multiple delivery channels for the purpose of creating a unified and coordinated entertainment experience.” Transmedia storytelling allows users to reach further into the story and grasp different perspectives that cannot be seen in the original story. In the movie Top Gun, many people were left not knowing what happened after he graduated his flight training school. In order to reach out to that audience, video games were made to simulate missions that would have taken place in the future that weren’t shown in the movie. Video game designers used the idea of a multiform story to create a single situation where there were multiple versions of the outcome that were unique to each user. This allowed users to sculpt a unique perspective of what happened because they were in completely control of the game while following a storyline. After playing the video game, I had a completely new perspective on the movie. Neil Young, who came up with the term “additive comprehension,” explained it as a way to introduce new information to change our views on the original story. Top Gun was known to over exaggerate the life of a Naval Aviator, and portrayed the men as “hot shots” who all women fell for. This theme seemed to change in the video game, and focused much more on the actual life of a Naval Aviator and the missions they execute. Also, the movie portrays Tom Cruise as a ladies man who is in love with a flight instructor on the base, but after playing the video game, this whole idea of him faded away and it really changed my view on the movie. Assassin’s Creed, Ubisoft’s Flagship Game of recent years with more than seven main installments and countless side movies that gap between games, and books, is a perfect example of a medium with various transmedia extensions. Assassin’s Creed is first set up in the era of the crusades, where the Assassins, a secret society whose creed is “Nothing is true, everything is permitted,” vows to protect the world from the Templars, an evil society that wants to find an ancient artifact, the Apple of Eden, which hides incredible power with which the Templars want to take over the world with. As Henry Jenkins states in his article, Transmedia Storytelling 101, transmedia storytelling “represents a process where integral elements of a fiction get dispersed systematically across multiple delivery channels for the purpose of creating a unified and coordinated entertainment experience.” Assassin’s Creed’s fans are a very loyal fan base, thus Ubisoft saw the need to create multiple small movies that bridged the storyline between games, further enhancing the games storyline. 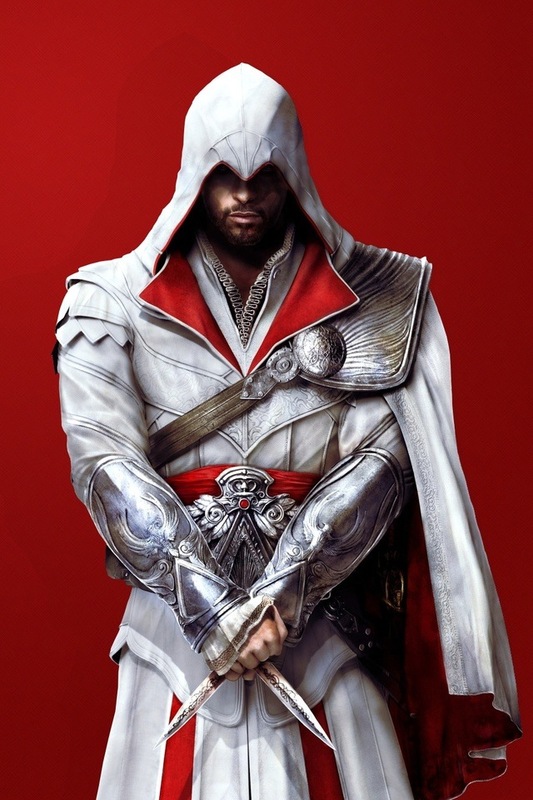 One example is Assassin’s Creed Lineage, a small three-part movie that sheds light into the past of Ezio Auditore’s Assassin Lineage, featuring his father, Giovanni Auditore, as an assassin of the Medici, a powerful political family during the renaissance according to an article form Rice University’s The Galileo Project, and how he is trying to uncover a conspiracy against the ruling body in Florence. Other side movies include Assassin’s Creed Project Legacy, Ascendance, Embers, The Fall, and The Chain (Assassin’s Creed Wiki). Another kind of transmedia concept that the Assassin’s Creed Franchise embraces is that it itself is a multiform story. A multiform story is a “written or dramatic narrative that presents a single situation or plot line in multiple versions, versions that would be mutually exclusive in our ordinary experience (Murray 30). 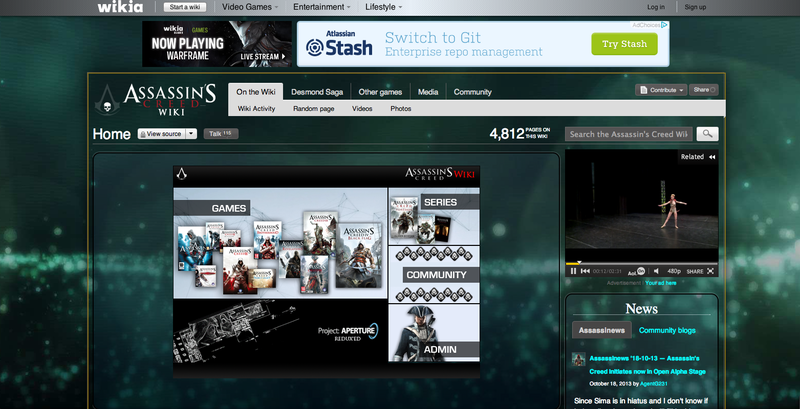 In the game, a bartender by the name of Desmond Miles, is kidnapped by a company of disguised Templars named Abstergo. They want to get their hands on the Apple of Eden, so they take advantage of Desmond’s “genetic memory” since he is part of the assassin’s lineage, to put him in the Animus, a machine that let’s a person relive their “genetic memories” in their minds, to retrieve the location of the Apple. In a way, Desmond is relieving his ancestor’s lives through his own perspective. Specially in the game Assassin’s Creed: Revelations, where Ezio Auditore is himself reliving a past Assassin’s memories to uncover the location of the Apple of Eden. That is, Desmond is connected to the Animus where he is reliving Ezio’s Memories where Ezio is himself reliving another assassin’s memories. Assassin’s Creed might be the best example of how the fandom of a game can push for more media related to a game, adding significance and knowledge about a game that is unprecedented. Murray, Janet. Hamlet on the Holodeck- The Future of Narrative in Cyberspace. New York: The MIT Press, 1999. 30. Print. The CW Network’s television show, Arrow, tells the story of a billionaire’s son, Oliver Queen, who was shipwrecked, missing, and presumed dead for five years. He’s found and returns home to Starling City, a changed man. He creates a secret persona of Arrow and tries to help his family, himself, and Starling City. The show has taken different forms of transmedia extensions, including comic books, a wiki, character Twitter accounts, and character appearance in video games. I will be focusing on the wiki because it is a strong example of transmedia storytelling, “a process where integral elements of a fiction get dispersed systematically across multiple delivery channels for the purpose of creating a unified and coordinated entertainment experience” (Jenkins). The Arrow wiki is narratively connected to the Arrow television show by providing detailed character biographies, images of characters and from scenes in the show, promotion videos for the episodes, polls, and blog posts by users of the wiki. The wiki builds on the television show and acts as a hypertext fiction, “a set of documents of any kind (images, text, charts, tables, video clips) connected to one another by links…they are best thought of as segmented into generic chunks of information called ‘lexias’” (Murray). Viewers can click on any word (important phrase, name, location, etc. from Arrow) that is typed in green and be taken to another page within the wiki about that particular topic. Viewers can actively piece together the story themselves, creating an individualized narrative, sometimes in a non-linear fashion. They are viewing “lexias” and rearranging them. As someone who has only seen the first seven episodes of this show, I used the hypertext to navigate the wiki and gleaned more information about the storyworld and the characters and, essentially, got “caught up” by jumping from page to page on the wiki. However, my experience was different from anyone else who has visited the same wiki. The Arrow wiki functions as a cultural attractor, “drawing together like-minded individuals to form new knowledge communities” (Jenkins). 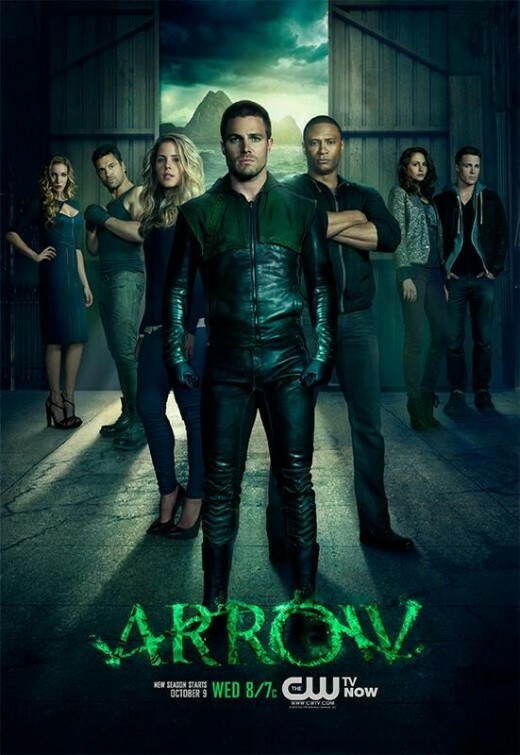 Several Arrow fans have created user blogs and use them as platforms for sharing ideas, knowledge, and commentary about what is happening at that moment in the show. The wiki even has two dedicated pages showing every single edit and who has made each one. Jenkins argues that transmedia narratives also function as textual activators, which “set into motion the production, assessment, and archiving information” (Jenkins). The Arrow wiki is archiving information about the show, documenting episodes, characters, and the overall narrative outline. If anyone wants to know anything about Arrow, this is the place he/she should go. It has very detailed accounts of people, places, and events in Arrow and holds record of the past, present, and future of the show. Jenkins, Henry. “Transmedia Storytelling 101.” Confessions of an Aca-Fan: The Official Weblog of Henry Jenkins. Web. 1 March 2014. Murray, Janet. Hamlet on the Holodeck. New York City: The Free Press, 1997. Print. Transmediation is a technique that uses multiple forms of media, known as platforms, as a way to tell a unified storyline. This is a technique typically executed through new media. Transmedia is composed of several essential structures that serve to define it. 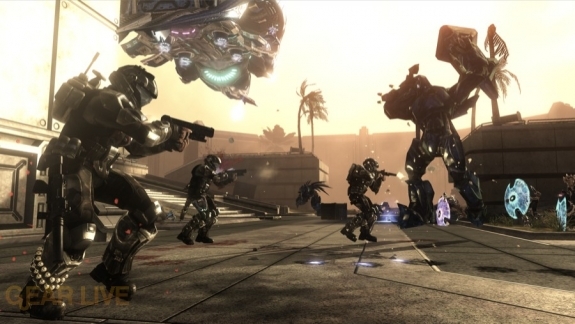 The Halo Canon uses transmediation as a way to build the Halo universe. A canon is a collection of texts that are produced by one author and recognized as genuinely that authors vision. World building is something the creators of Halo have heavily used in order to let fans dive into the halo universe head on. World building is when an author releases stories through different medias in order to explain and create a complete story for fans to consume. The Halo Canon feeds off this particular structure. Bungie and Microsoft, Halo’s creators, have released several books alongside the primary texts. (video games) They did this in order to open fans to more storyline between games, as well as introduce more characters and places within the fictional space. The cover even says, “The official prequel to the award-winning Xbox game!”. The books while serving the purpose of world building also simultaneously serve as contributors to additive comprehension. Additive comprehension is another transmedia technique where a text serves as a addition to the understanding of the narrative. This particular book serves as a prequel to the first Halo game which is the original text, thus enhancing the original narrative, Halo: Combat Evolved. Henry Jenkins attempts to define several of the characteristics of transmedia storytelling in his blog titled, “Transmedia Storytelling 101”. He defines additive comprehension in the same fashion and comments on the necessity of the function that additive story telling serves. The Halo creators have brilliantly created additive comprehension even within their video game series which is considered the primary texts in the canon. 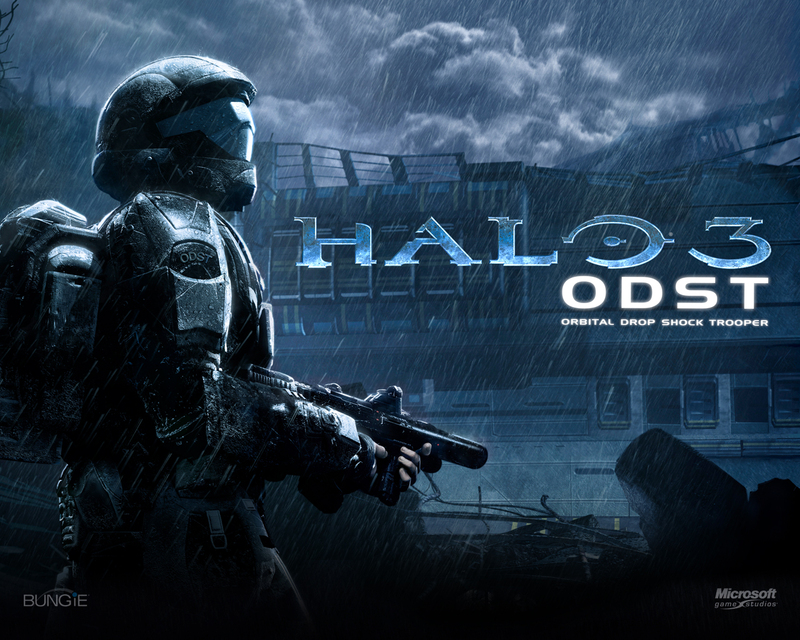 An example of this is the 5th video game installment, Halo 3 ODST. This game served to tell more events that occurred during the game Halo 3 but through a different perspective. 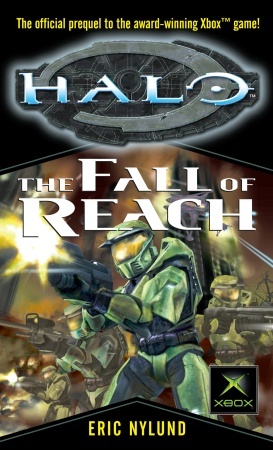 This game was released two years after the first Halo 3 game was released. A brilliant move by Microsoft in my opinion. The Halo franchise is a perfect example of relatively small scale transmedia storytelling. This is one of the many reasons why thousands of people and I love the Halo canon.